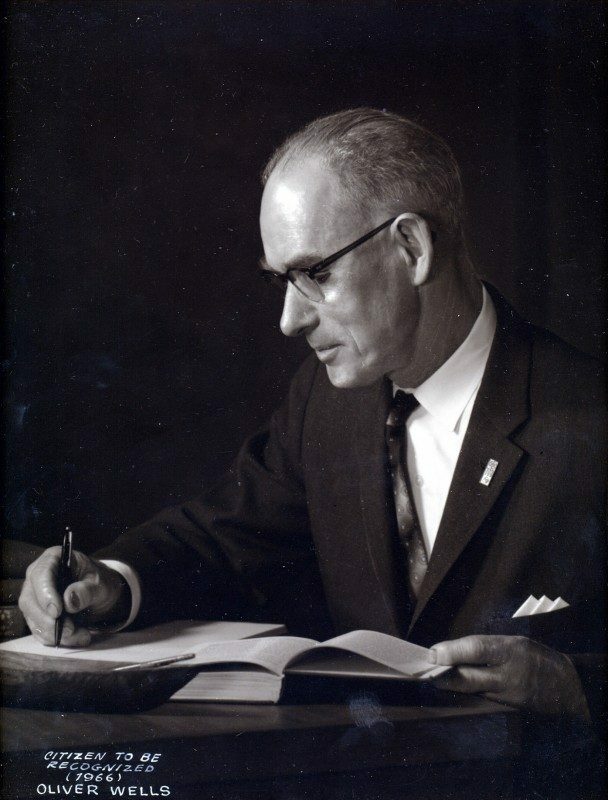 Early in 1958, just after our organization was established – the Chilliwack Museum and Historical Society President, Oliver Wells, did what all good Museum leaders do at some point: he sent out a fundraising letter. SPOILER ALERT! That’s what this blog post is really about too. But why don’t we have some good ole’ historical fun while we’re at it, eh? Oliver Wells served as the founding Chairman of the Chilliwack Museum and Historical Society. 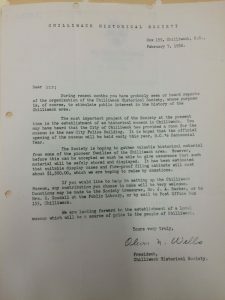 Oliver Wells fundraising letter, February, 1958. Some things have not changed. Then, as now, this is still one of the most basic principles of preservation and conservation. Museums have a responsibility to care for their collections. 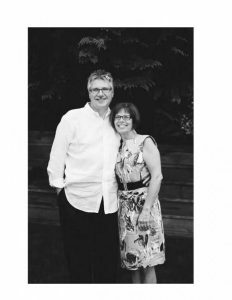 We have been doing just that here in Chilliwack for sixty years. 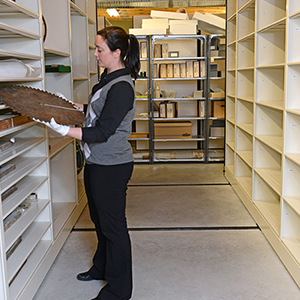 Over ten thousand historic objects – also known as artifacts or belongings, each one shedding light upon a unique person, place, memory, or moment that matters to Chilliwack – to you. Did you know, however, that less than 1% of our collection is exhibited at any given time? Why? 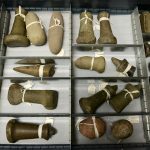 The existing cases that we have were not purpose-built for the task of displaying many of the more vulnerable objects from our collections. 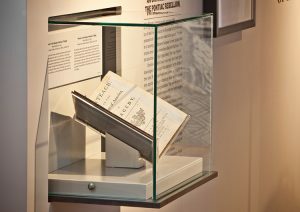 From the late 1950s until now, our skilled and creative professional staff have done their very best, working with the kinds of exhibit cases that we have had available. Many of these have been greatly appreciated hand-me-downs, cascaded to us from other institutions, such as the Museum of Vancouver. 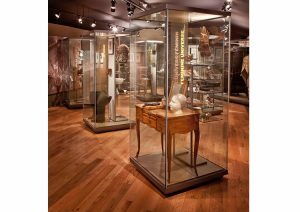 In other cases, we have had cases purpose-built for our exhibitions by local carpenters – with plywood structure, plinths and plexi-glass. They look pretty good, and do a serviceable job of presenting your historic objects (which we steward for the public good). 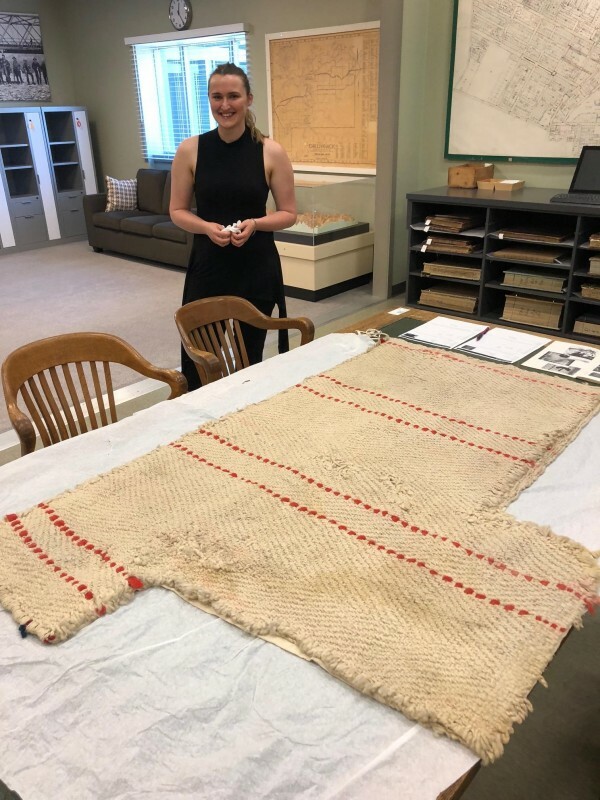 The cases we have, however, are not built to last forever, and do not fully achieve the kinds of conservation standards that Chilliwack’s significant material culture truly deserves. They don’t have the kinds of security features we expect today, such as hidden cam-locks, and they don’t offer the same level of environmental protection (from such factors as UV light, moisture, pests, contact) to ensure fragile and precious materials are safeguarded for future generations. Back in 2011, when the Archives facility was expanded at Evergreen Hall, you helped us to acquire high-quality, rolling, shelving. 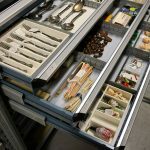 This shelving, however, is intended for storage, and not for exhibition purposes. 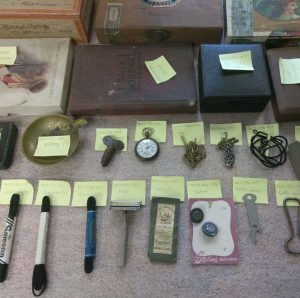 Objects in our artifact collection, in our secure artifact storage facility at Evergreen Hall. 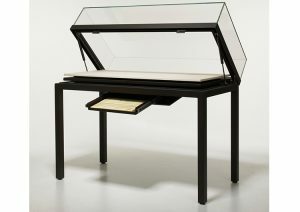 In short: we need new exhibit cases – yesterday. Thanks to the support of the Government of Canada’s Canadian Cultural Spaces Program, the City of Chilliwack, and the Chilliwack Foundation – all of which provided significant grants – our need is being met! The new cases are expected to arrive in late October, and our exhibits will transition into them, with our next exhibit opening into them in early November, 2017. 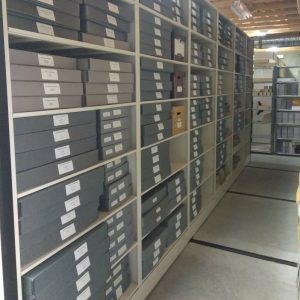 Modular cases very similar to the ones being produced for the Chilliwack Museum and Archives. 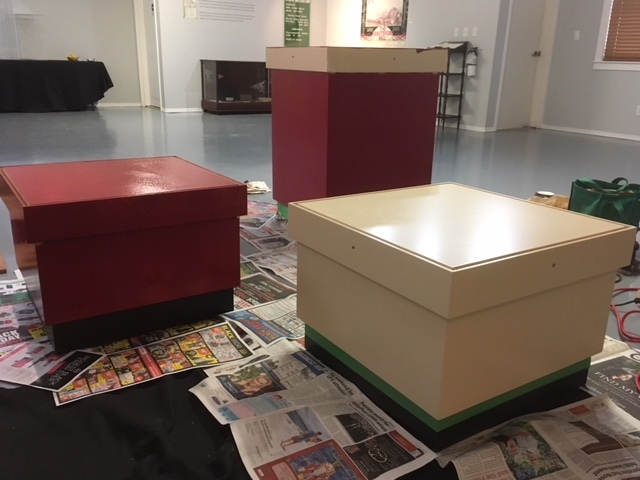 The Chilliwack Museum and Archives will soon have the highest quality, Canadian-made exhibit cases, which will strengthen our curatorial program for decades to come. Custom-constructed to meet our local needs by the highly regarded Zone Display Cases, nineteen (19!) 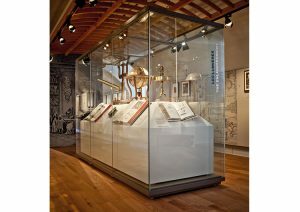 new exhibit cases will give us tremendous flexibility to show you more of our rich collections. Best of all, many of these units are completely modular, allowing for set-up in a broad range of different ways, allowing for versatility. You will be able to connect with your history in an amazing new way! The total cost for 19 cases is $142, 000, and that is the largest purchase that the Chilliwack Museum and Historical Society has ever made. While we have raised over $100, 000 to date, we still need to raise just over $30, 000 in 2017 to complete the exhibit case project. 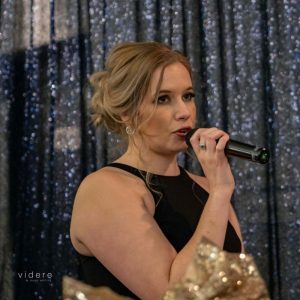 Will you partner with us? If you’d like to give to honour or in memory of someone special, recognition opportunities are available. Thank you for the amazing generosity of those caring individuals and Chilliwack businesses that have already contributed. No gift is too small – every contribution makes a difference! 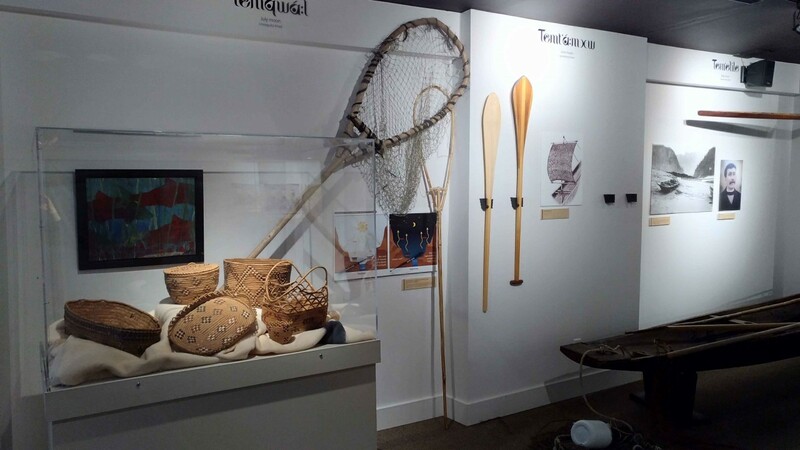 For all the details, you can check out our Chilliwack Museum 60th Annivesary – Case Renewal Legacy Project. By Phone – Give us a call! Our phone number is (604) 795-5210. Drop by the Museum during opening hours. If you have any questions, feel free to contact me, Matthew Francis, Executive Director, any time. [email protected] or (604) 795-5210 ext. 101. 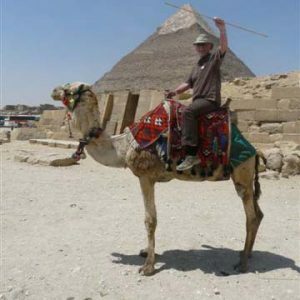 Disclaimer: Content in the following blog post may be disturbing to bug lovers. Recently I picked up a donation for the archives that caused me some concern. Before bringing the newly acquired collection into the stacks I noticed a silverfish at the bottom of the bankers box. Archival instincts taking over, I immediately crushed the insect. Panic is seldom a word heard in the archives profession. 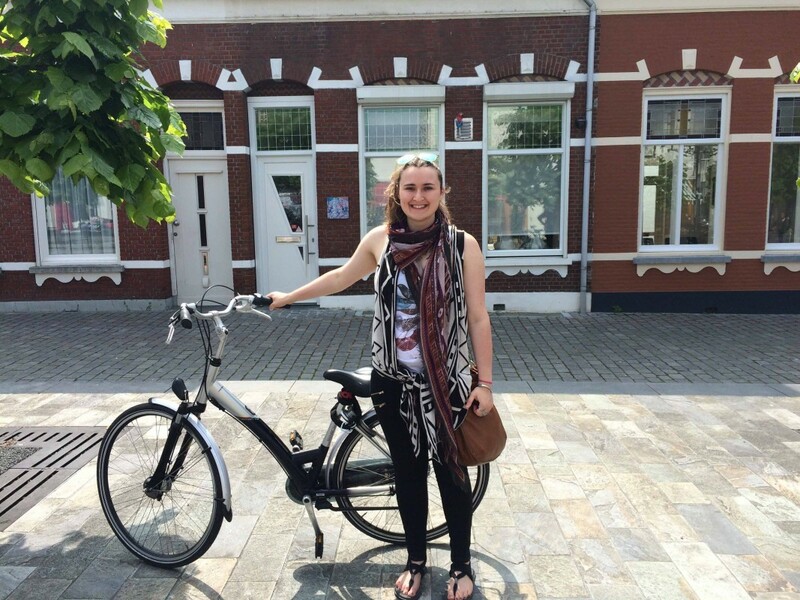 With my heartbeat rising, my mind immediately raced to the horror stories I heard about at archival conferences. Sweaty palms, I needed to address the situation and address it quickly. Perhaps the word panic is a bit melodramatic; but, it’s not every blog post that I get to exaggerate somewhat. Silverfish – Lepisma Saccharina – will graze across records leaving a wake of destruction in their path. Okay, maybe not exactly a wake of destruction but they can multiple and precautions should be taken to keep their populations in control. 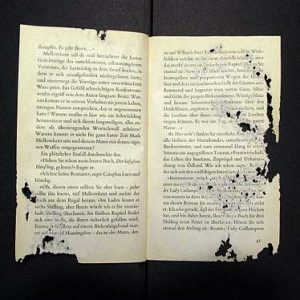 In his book, “How to Recognize and Eliminate Silverfish, Beetles, Cockroaches, Moths, Termites, Rats and Mildew in Libraries and Archives,” Thomas A. Parker explains how Silverfish enter an institution. Obviously, it is nearly impossible to prevent silverfish and other pests from entering an archive. 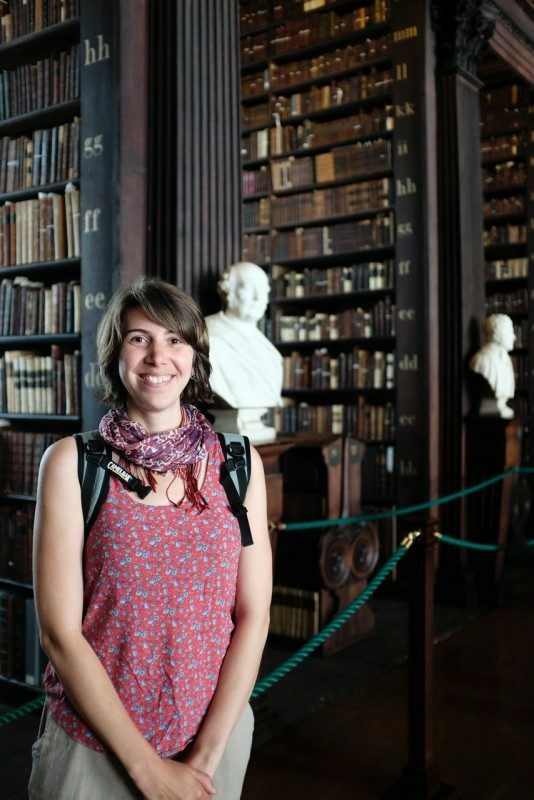 The best preventative solution is environmental control, cleanliness, and monitoring in the stacks. 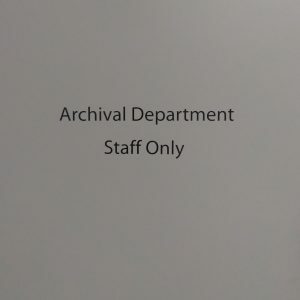 Nevertheless, records that have obviously been compromised should be addressed before the archivist places them in the same stacks as other records. One of the easiest and most effective ways to eliminate bugs and their eggs on paper material is by freezing the records. Step one: Isolate the material. I kept the material in my truck while I consulted my archival pest management manuals. Step two: Wrap the records in plastic or Ziploc bags tightly and seal them with water resistant tape to prevent condensation from forming. 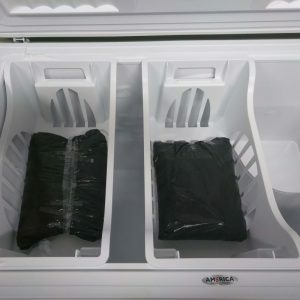 Step three: Freeze the materials at a temperature of at least -20 C for 72 hours. Step four: Remove the material and defrost as slowly as possible. Keep the records sealed for roughly three weeks and watch for holes in the plastic. If holes do appear, eggs within the compromised records may not have been killed during the freezing process and the hatched bugs may be attempting to escape by eating their way out. The professional world of museum, archives and heritage in BC is full of acronyms: AABC, BCMA, BCHF, CMA, HBC. What do these acronyms stand for and what do they mean for our organization and profession? Let’s explore. 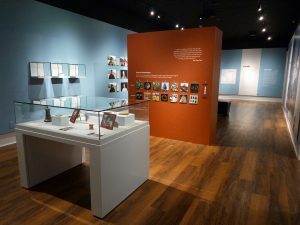 The Chilliwack Museum and Historical Society, who operate the Chilliwack Museum and Archives, has been a longstanding member of many professional organizations that advocate for, accredit, provide guidance for and support the Society’s mandate and work in the preservation and presentation of Chilliwack’s culture, heritage, and natural and human history. Put simply – membership has benefits. The mission of the AABC “is to foster the development of the provincial archival community in order to better preserve and promote access to British Columbia’s documentary heritage” (AABC, 2012). 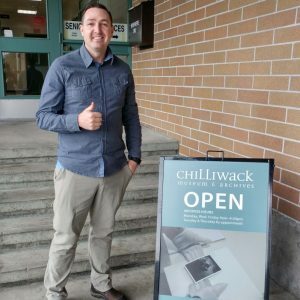 The work the AABC does helps archival repositories like Chilliwack’s reach and maintain professional standards of best practices in the field. Essentially this works to improve the preservation of archival materials and facilitate public access to them. Becoming a Full Institutional member of the AABC and maintaining AABC credentials are not easy tasks. 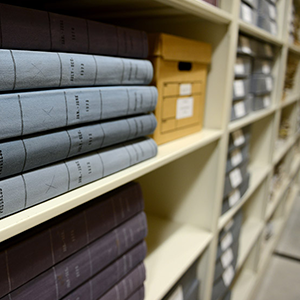 Meeting Full Institutional requirements includes employing a full time trained Archivist, reaching best environmental preservation standards, demonstrating commitment to ensuring access to information and engaging in professional development. 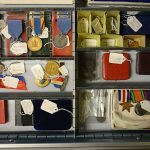 Being an accredited member of AABC assures researchers and donors that the organization strives to uphold and maintain best practices in the field – that we are a trusted repository for original archival materials. The Chilliwack Museum and Archives is a proud Full Institutional member of the AABC. The mandate of the BCMA is to “create(s) a bright future for British Columbia’s museum, gallery, and related heritage communities through networking, advocacy, innovation, and professional development” (BCMA, 2016). 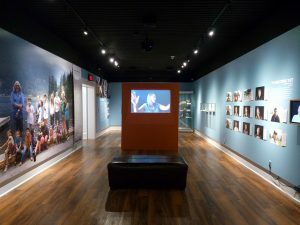 As an Institutional Member of the BCMA, the Chilliwack Museum and Archives benefits from its staff being actively engaged in professional development; by learning about and employing excellence and innovation in the field; by benefitting from the BCMA’s advocacy efforts around the province; and by connecting and networking with other museums, galleries and cultural centres in BC in order to provide our community the best museum services it can. These functions of the BCMA helps the Chilliwack Museum and Archives to stay relevant and continually improve its services. 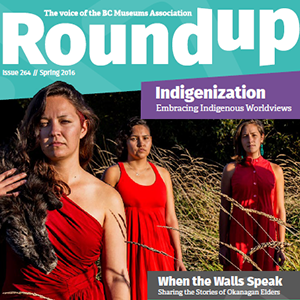 Chilliwack Museum and Archives staff regularly attend the BCMA annual conference and subscribe to Roundup, the magazine of the BCMA. 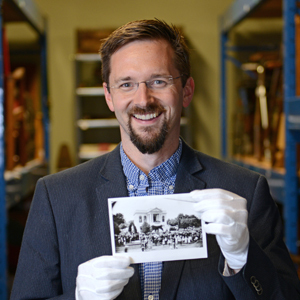 The Chilliwack Museum and Archives is a proud Institutional Member of the BCMA. Incorporated in 1922, the BCHF has three stated purposes: “(1) to promote the preservation and marking of historical sites, relics, natural features, and other objects and places of historical interest; (2) to stimulate public interest, and to encourage historical research, in British Columbia history; and (3) to publish historical sketches, studies, and documents” (BCHF, 2016). 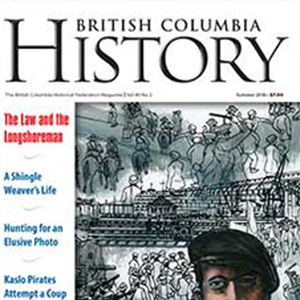 BC History Magazine of the BCHF. To these ends, the BCHF publishes the magazine called BC History; recognizes the work of Member Societies through a scholarship and awards program; and awards and endows the Lieutenant Governor’s BC Book Prize for best historical writing. Being a Member Society of the BCHF benefits members of the Chilliwack Museum and Historical Society by supporting and advocating for local history and historical projects our members are involved in, and by providing opportunities to learn, explore, contribute to, preserve and appreciate the widespread knowledge of BC’s history. The Chilliwack Museum and Archives has been a proud Member Society of the BCHF for many decades. The BCHF’s annual conference is being held in Chilliwack next May 25 – 28th. The CMA is the “national organization for the advancement of the Canadian museum sector, representing Canadian museum professionals both within Canada and internationally” (CMA, 2016). 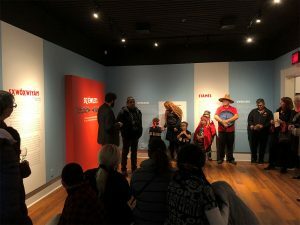 The promotion and advocacy of museums in Canada and abroad and the representation of museum professional at the national level is important work that benefits all museums in Canada, including ours here in Chilliwack. 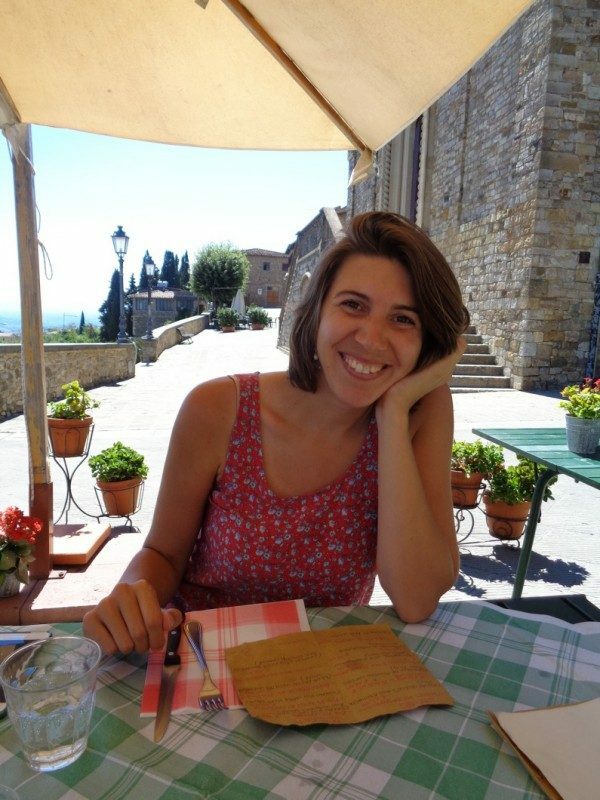 The CMA administers the Young Canada Works program in museums; awards professional development bursaries ; publishes Muse magazine; and holds an annual conference. The Chilliwack Museum and Archives holds membership with the CMA at the Institutional Association level. HBC is a “not-for-profit, charitable organization supporting heritage conservation across British Columbia through education, training and skills development, capacity building in heritage planning and funding through the Heritage Legacy Fund” (HBC, 2016). 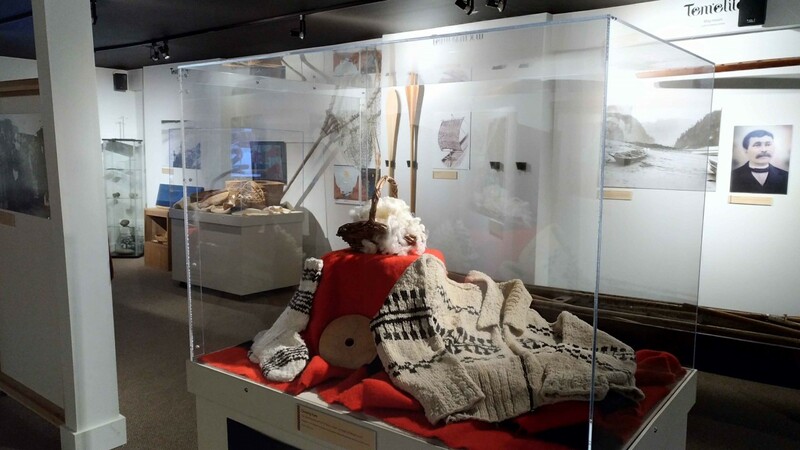 The Chilliwack Museum, itself housed in a National Historic Site of Canada, provides museum and archives services that help to conserve and interpret heritage sites in Chilliwack. 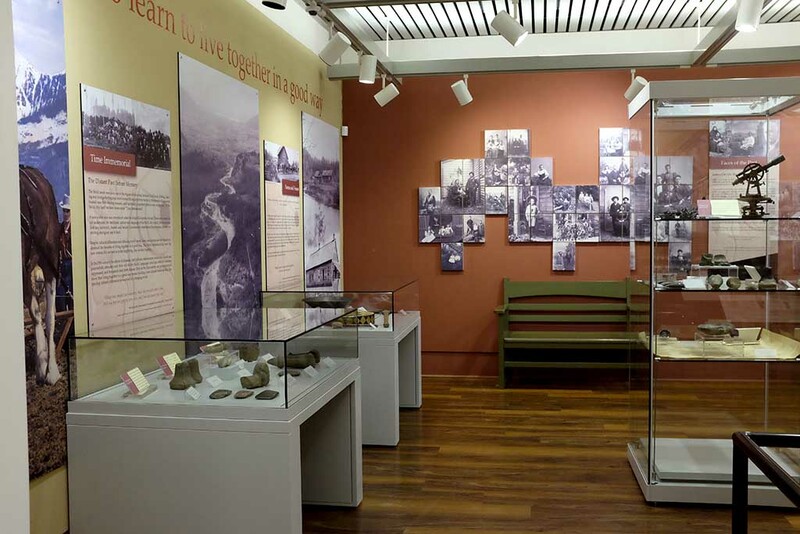 Membership with HBC connects the Chilliwack Museum with the heritage conservation and planning expertise of professionals and organizations within the Province. The Chilliwack Museum and Archives is a proud member of Heritage BC. Archives Association of BC. (2012). Retrieved from www.aabc.ca.